Celebrating its 27th anniversary next month, Jazz N Taps is a popular place for beginners and experienced dancers alike to hone their dancing skills and explore new opportunities to compete on teams both regionally and statewide. A nine-time Readers' Choice winner and a Hall of Fame recipient, this is Jazz N Taps' 12th year of recognition for quality dance programs. Centrally located in the heart of downtown Pleasanton, this rustic Wild West throwback is famous for its craft beers, cocktails, whiskey, and most of all, live music. Beer Baron also provides a relaxing brunch menu that includes Mexican and local Californian delicacies. Overlooking much of the Tri-Valley, the Pleasanton Ridge includes an expansive parkland filled with scenic trails, canyon views and streams, a perfect relaxation spot for hikers, equestrians, bicyclists and all nature-lovers alike. The newly opened Castleridge trailhead is conveniently located at the foothills of the Alviso Adobe Community Park and is a convenient location for northern residents to access the park. Located in Livermore, Wente Vineyards holds the honor of being the United States' oldest continuously operated family-owned winery. Not only do their vineyards provide award-winning wine, but they also operate a restaurant featuring California wine country cuisine, as well as offer a premier golf course. Beer Baron is a go-to spot downtown. Also a winner for Best Happy Hour, Beer Baron earned the title of Best Place for a Late Night Out. If you're looking for a spot to go after 11 p.m. or so, Beer Baron will be open. Featuring a diverse array of drinks to choose from and live performers, it certainly isn't a place to miss during the summer. This exciting event hosted by Pleasanton Downtown Association brings together residents of all ages and features diverse music ranging from the '60s to modern pop and country. Held Friday night from 7 to 8:30 p.m. through summer months, the concerts are a great way to relax and get ready for the weekend. There aren't many downtowns in the country that can boast a 150-year-old history of Wild West bandits and outlaws, Western European architecture, and plenty of haunted buildings, but Pleasanton's iconic town center certainly fulfills all of these criteria. Featuring a dazzling collections of restaurants, jewelry shops, clothing stores, gift shops and other local small businesses, Main Street is a wonderful place to sip on a cup of coffee, have an afternoon tea, enjoy the weather and, obviously, people watch. 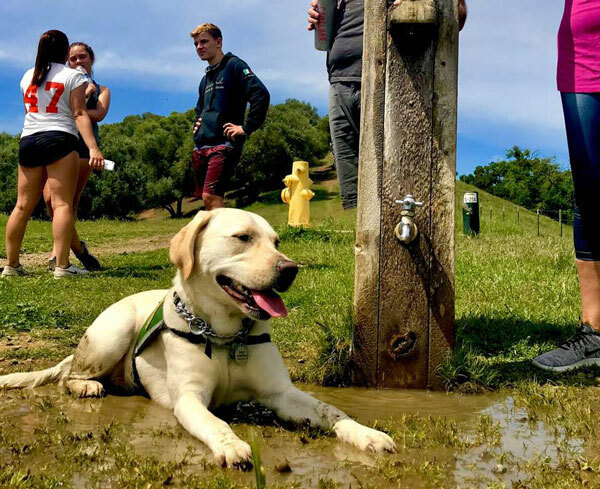 After taking the title of Best Kept Secret Treasure for the fifth time in a row, Pleasanton Ridge is also well-known for its dog-friendly environment. Featuring dozens of miles of trails and forested greenery, the Ridge is an excellent park to take your puppies and have some quality alone time together, or perhaps to meet other canine friends. Most people attend Concerts in the Park for the live music, the other category it won this year, but the concerts themselves are also great public events for family and friends to attend together. It's an opportunity to meet other music enthusiasts, chat with old friends and witness a new show every week. Walk into this lively restaurant on a busy afternoon and you will see dozens of devoted fans cheering on their favorite teams while enjoying a drink. If watching the Giants or A's, World Cup soccer or (soon) NFL games with drinks and grilled meat sounds like fun for you, Hop Yard Alehouse is the best place to bring old friends and relax.